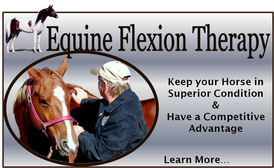 Learn how you can keep your horse flexible and supple; more comfortable and able to perform better. By using techniques including deep motion flexing and massage, you can keep your horse feeling his/her best. YOUR HORSE WILL THANK YOU!! Dan Marcum who has 30+ years of horse training experience. 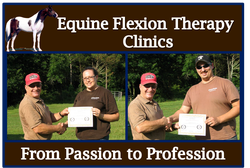 He is also AFA Certified Farrier, BWFA Certified Journeyman ll Farrier, Certified Equine Adjuster, and the Developer of EQUINE FLEXION THERAPY.